"The May Basket Competition heralds spring in Annapolis. To celebrate May Day, residents & businesses in the Historic District, display baskets of fresh flowers at entrances. In its 58th Year!" Have you got a crystal ball? Although the United States has long relied on immigration to fuel productivity and maintain a competitive edge, as well as drive the dynamic that characterizes American society, the nation’s overburdened immigration system is no longer serving America’s needs as this administration turns up the heat. The Independent Task Force on Immigration and America’s Future seeks to design a new and simplified immigration regime that averts illegal immigration, and at the same time, harnesses the benefits of immigration for the future. Their proposals target reform in three key areas: admissions, enforcement, and integration. To say that the future of immigration in America is cloudy would be the understatement of the century! 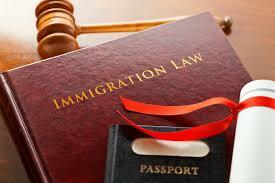 It takes an experienced Maryland immigration attorney like Brianna Arnold to sort it out. Please give her a call with your specific questions at (410) 484-1400 and arrange a meeting at her office located at 1777 Reisterstown Road in Baltimore.